Choose 1 ink colour for each stamp and randomly stamp ‘Happy Birthday’ all over the front of the card. 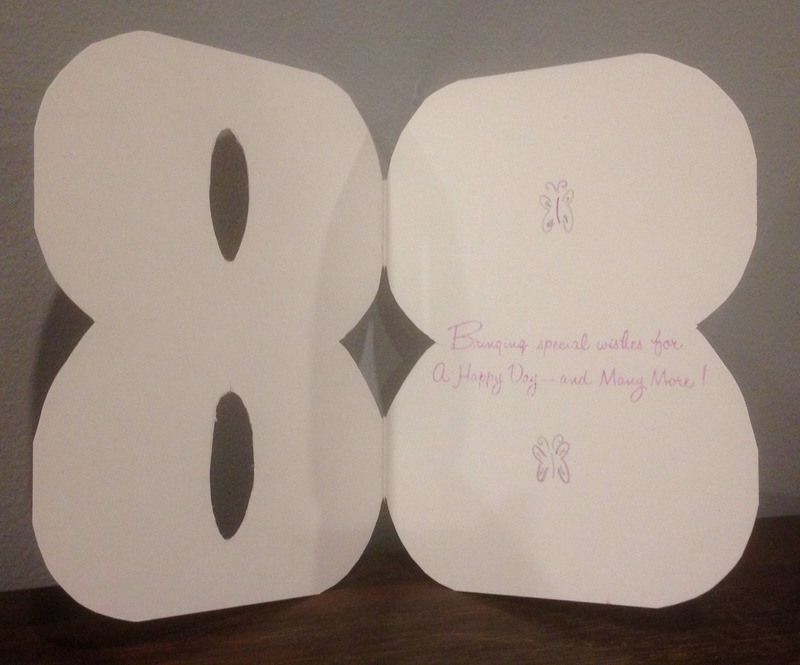 When the ink is dry, cut the corners and sides of the card with scissors to make a number 8 shape. 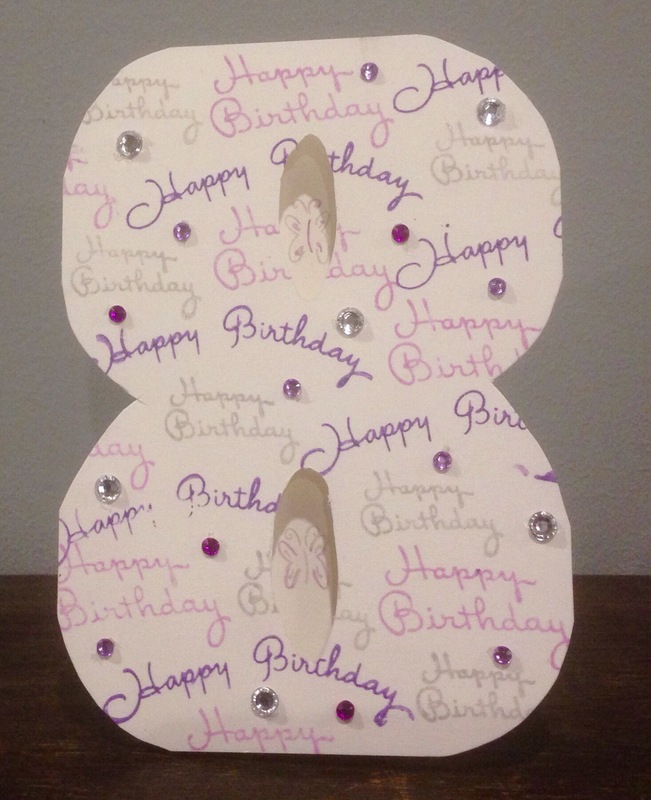 Use the craft knife to cut out the 2 holes in the front of the card. Close the card and draw 2 butterflies in the holes with metallic pencils. Add the stamps message to the inside of the card. Add diamantés to the front of the card.